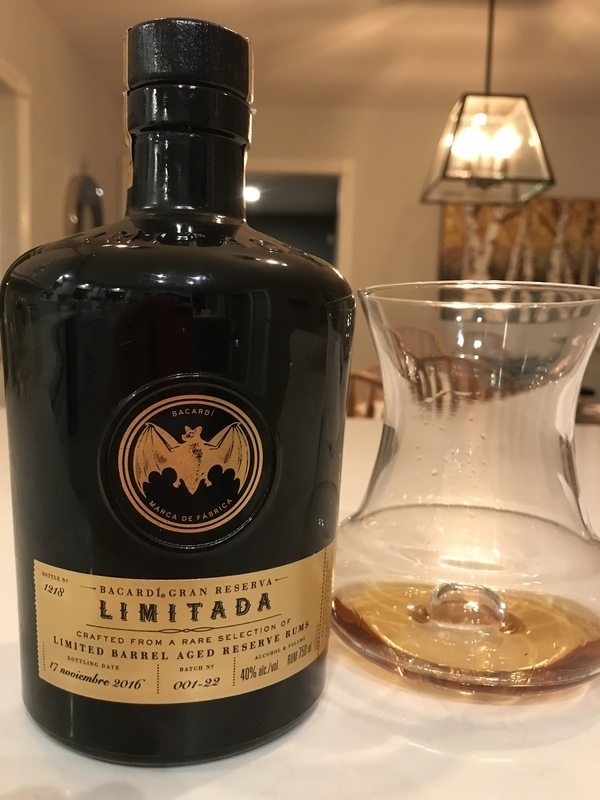 Have you found an online vendor selling Bacardi Reserva Limitada? This is a great sipping rum. Its a mild color with mild flavor, not very overpowering in anyway which I think is the beauty of the rum. I really can't compare it to any other rum I have drink thus far so it's in a class of it's own. Price point was a little high but was worth buying. Enjoy!!! Dans la pure tradition des rhums Cubains ( ben oui je sais, je sais... Allez lire un peu sur l'histoire de la maison avant de me traiter d'inculte ) cette bouteille n'est pas sans intérêt. Tranchant, sec sur des notes de miel, petit fruits, noix et un petit chênes subtil, ce rhum est un produit qui a visiblement jouit d'un grand travail de recherche avant la commersialisation! Produit honnête, parcontre un peu cher pour ce qu'il a à offrir. 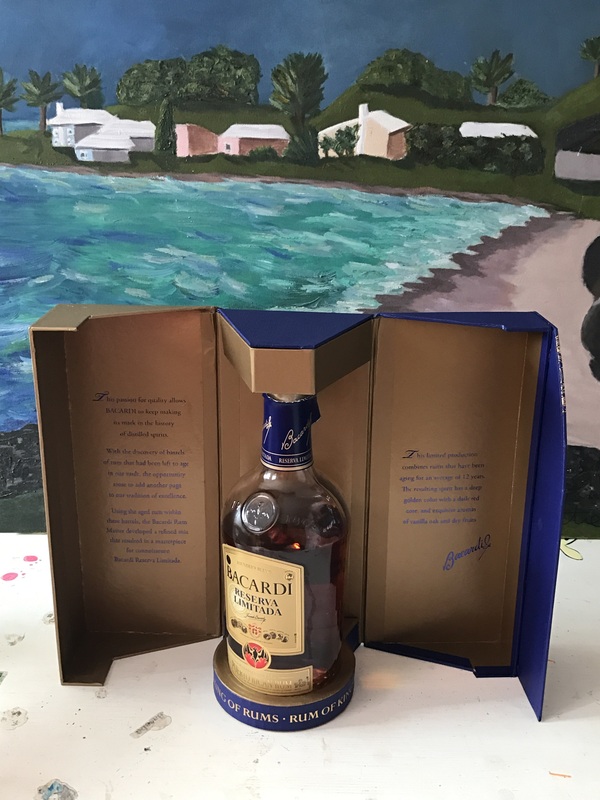 I visited Bacardi while working in Puerto Rico earlier this year and was amazed that such a product was produced on the island. This is a very rich and smooth sipper tasting of quality that I have not expected to get from a bottle of Bacardi. I purchased my bottle with my name and year and placed this on my top shelf where it remains unopened for now. Considering price, this rum is only slightly better than the 8 yr. Had this after Barrilito 3 Estrellas and I just stared at my glass wondering if I really just had a top shelf rum. It's all around average to boring. Nothing of it seems worth the price. I just brought a bottle of this back from New York City. I had tasted it before, but this is the first time that I gave it a serious tasting. It is one my top rums. I love sipping it. It is a huge step up in class from your normal Bacardi products. Smooth molasses, honey and vanilla. Nice finish but forgettable. Yup, I wouldn’t have thought so either! But this is top notch and worth the premium, so... here we are. Good for sipping neat. Anything else would be wasting it. Not as easy on the nose as others with this high a rating, but tastes and finishes nicely. The regular price for this is $100 but the distributer is giving great pricing to the retail stores. I have only had Bacardi in my youth as a mixing rum. This is is good value for the $50 I paid for it but not $100. Fantastic nose and flavor, never thought a Bacardi product would be of this quality. Nice golden colour with a nose of banana and dried fruits. Nice taste with vanilla and a touch of oak. Little burn. The bottle is much nicer in Canada (black glass with gold label). Not as good as El Dorado (15 or 21). I love this one! Took me a while before i got one but it was worth the wait! Really nice sipping rum! At a decent price for a numbered bottle! Worth the try! Amazingly smooth. Little sweeter than I'd expect, and very tasty. The smoothness is unexpected, the aroma suggests a little more bite. This is a very nice rum. On the nose, instantly you'll know it's a Bacardí. Then...clean, wonderful aroma, spice, lots of cinnamon, dried fruits...coconut, caramel, vanilla, shortbread cookies and subtle oak. Once you take a sip...light, mellow, dry, smooth...cinnamon, vanilla, dried fruits like coconut, plums, apricots, subtle citrus peel like lemon. Salty caramelized nuts like almond, hazelnut...caramel, buttery shortbread cookies. Finish, floral with a hint of brown sugar and light oak. No smoke at all, comparing it to Bacardí 8. This is not a molasses taste rum, very little molasses at the end...if any. Needless to say, neat. Very nice rum, if you like the cuban rums. A bit oaky, not too sweet. Pretty decent finish. All round good rum. Hard to go wrong with this one, although for the price, you could find some other gems. This ist not the stuff you see in all the cinema advertisments. This is very good and solid stuff. Sweet fruits in the nose. A bit too burning on the tongue, but then there is oak and plum. The same goes for the aftertaste. As it says for 8 points: Recommendable for most. Tried the Bacardi Reserva Limitada at the Bacardi distillery in San Juan last year and it's very mediocre compared to the hundred or so better aged rums out there on this price range. The flavor is quite mellow with a hint of burn at the end. I have tried well over 200 aged rums over the past 15 years and this Bacardi earns the highest grade at 7. But that's like saying you prefer to drink name brand bleach instead of no name. This doesn't hold up against almost anything out there. Minimal body, no mouth feel. I wouldn't feed this to my sink drain.